In February, the Freedom 251 smartphone was introduced in India, the best smartphone manufacturer and began to think that after all this is just Rs. How can we reach a smartphone for Rs 251. Then he surprised everyone kept for days, reports, but what happened later, it might not yet be said correctly. And now there is a new smartphone in the market, priced just Rs. 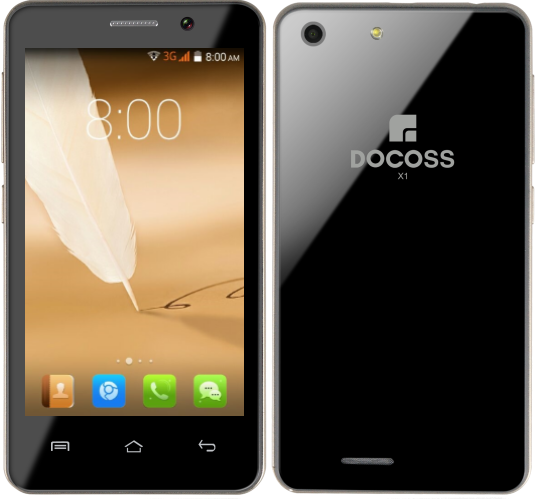 Is said to be 888, and Smartphone DOCOSS X1, which is made by India's Jaipur based company DOCOSS. And the company said in promo from May 2 to meet this smartphone will begin. And will be closed on Friday for pre-booking. However, the smartphone is still on pre-booking but people will say that we just stayed away from the deal. Because nothing can be said or perhaps even the ringing bells of the Freedom 251 mPhone should not like. Being told that the price of this smartphone Rs. 888 without tax list, but what is the real cost of the smartphone has not yet been reported. However, we reserve the smartphone by visiting its official website and tried but it is not happening. Book now to see how much people have smartphones and what they are going to meet them. Bells ringing, because we have to remember that something similar had happened with the Freedom 251. Also tell that the launch of the first smartphone Fonrdar covered by. It, all the news is out. Also on the site of the smartphone has a number 7666204430, through which the phone can also be booked via SMS. But this, too, may be doubted. The company's Facebook post is exposed to the same one that you can book it through SMS.